The FL13 is a compact C.O.B. LED headlamp that'll come in handy for up-close work. 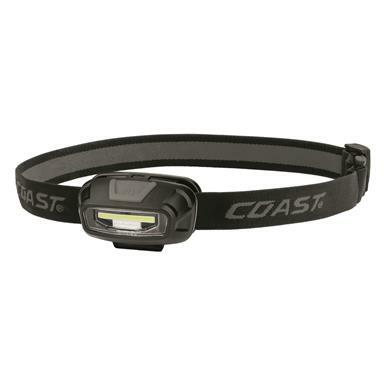 It casts a wide beam for easily navigating in low-light conditions. Use the white light for everyday needs, or switch it to the solid red beam to prevent night blinding. The flashing red LED light is great for emergency signal use. Runtime (high): 2 hrs. 30 min.